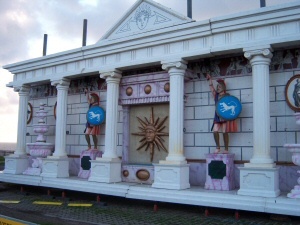 The Fire and Water tableau is another feature which needed a bit of maintenance in 2006. 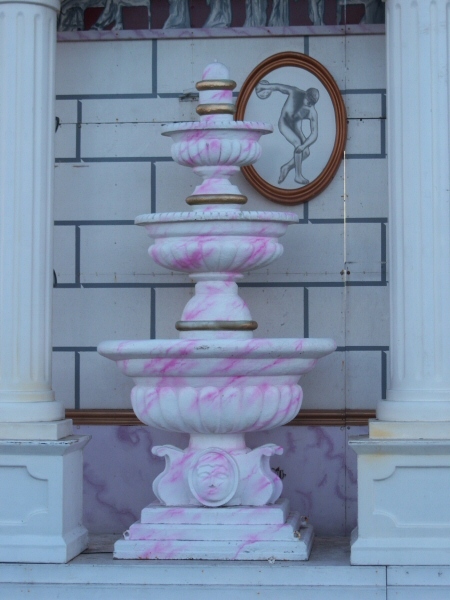 My contribution was to re-paint the marble effect fountains and the columns. Fire and Water 2006 is a feature within Blackpool Illuminations, the greatest free light show on earth, where Sarah Myerscough (me) works as an artist. The Illuminations are an annual event that takes place from late August / early September to November, along six miles of the promenade in Blackpool, a seaside resort in the North West of England.